Okay, so you are doing your Christmas shopping and you are stuck on what to get that geek in your life that just seems to have everything. I have been browsing shops, online stores and catalogs since October, and have bookmarked, scheduled and bought a wide variety of quirky and awesome products for some very lucky people. 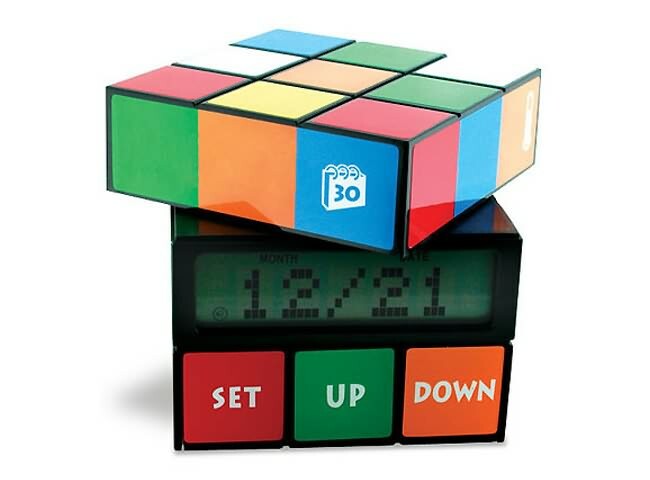 Here are few great gadgets, gizmos, toys and technical devices any true geek will love ... and probably doesn't have. These quirky little heavy duty magnets are oh so perfect for your whiteboard. 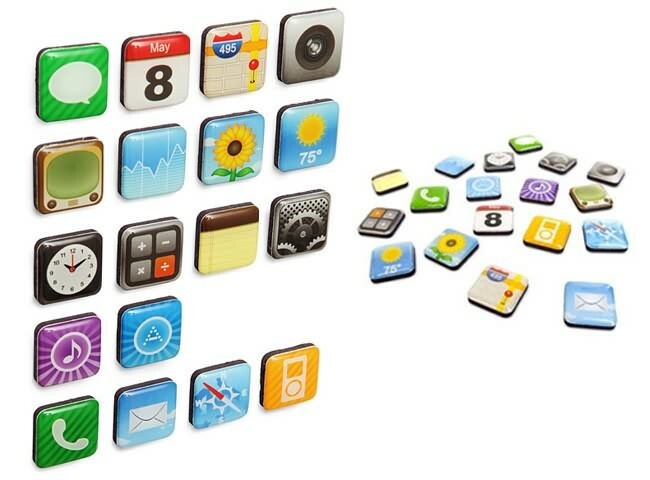 Colorful and shaped like the little App buttons on your iPhone, these 18 magnets are as useful as they are fun. These would be perfect for those Secret Santa gifts. I ordered mine last week! Geeks have a thing about retro and floppy disks are to the information age what cassette tapes are to music. 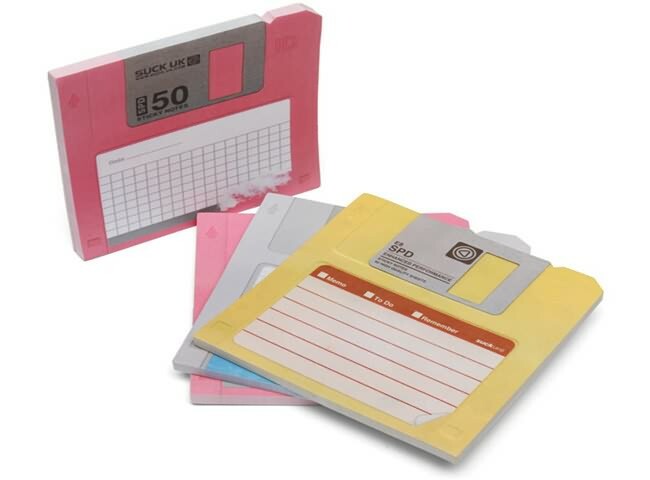 The geek in your life will love these sweet, whimsical sticky floppy disk sticky notes. 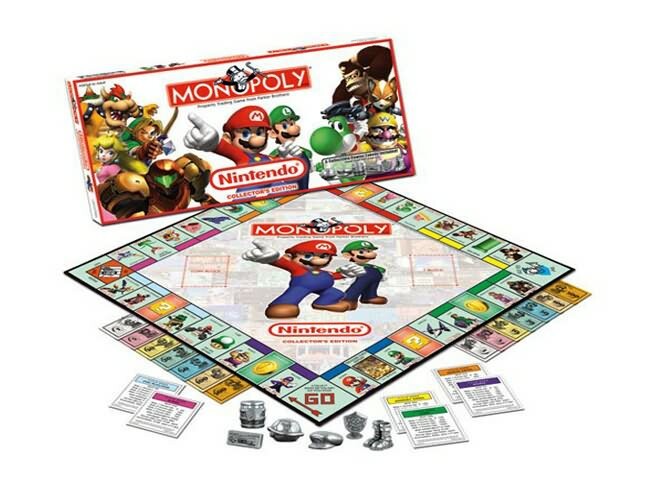 Out of all the various flavors of Monopoly you could own, we think this one takes the cake. Gone are the property names from New Jersey, replaced with your favorite Nintendo characters, grouped mostly by game. Collect Samus Aran, Ridley, and Metroid to complete the orange set, or Link, Zelda and Ganondorf to complete the green. Power-up your characters and build them toward being invincible. 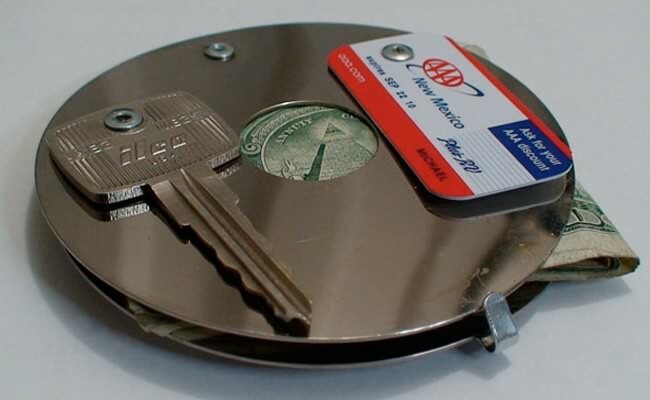 Zip your star past go, collect your $200 and drive your friends into bankruptcy. 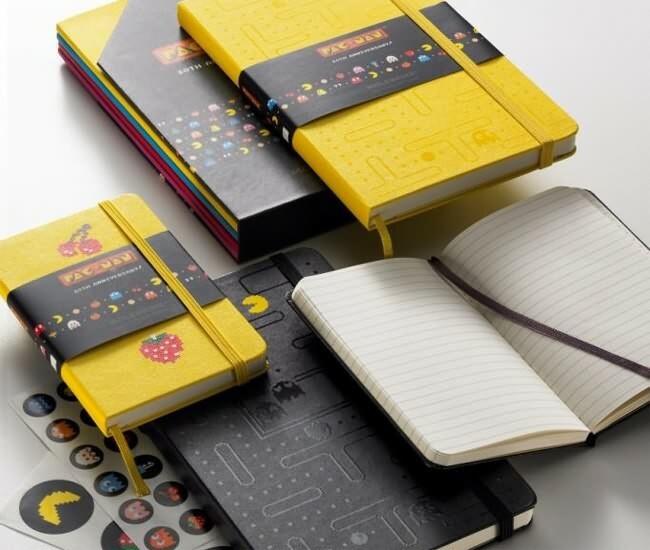 Limited edition Pac-man Moleskines to celebrate Moleskine's 30th anniversary. Satisfy the geek in your designer and get sketchy. 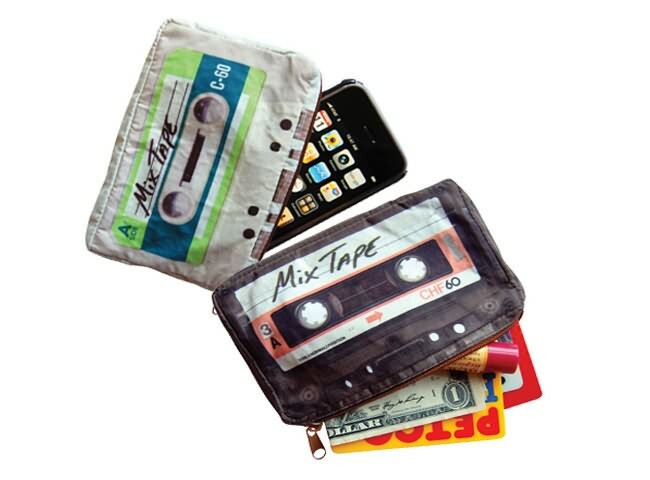 Speaking of cassette tapes, these stylish little zipper puches for iPhones, money and other knickknacks, make a great gift. Back in the day, I was really really addicted to the Rubik's cube. Wasn't great at it, but definitely addicted. I find this alarm clock a very quirky gift idea and an excellent conversation starter if you leave it lying on the coffee table. Space... the final frontier. These are the voyages of the starship Enterprise. Its five-year mission: to explore strange new pizzas, to seek out new toppings and new cheeses, to boldy cut pizza where no man has cut before! Yes, this officially licensed Star Trek collectable is everything you hoped it would be. 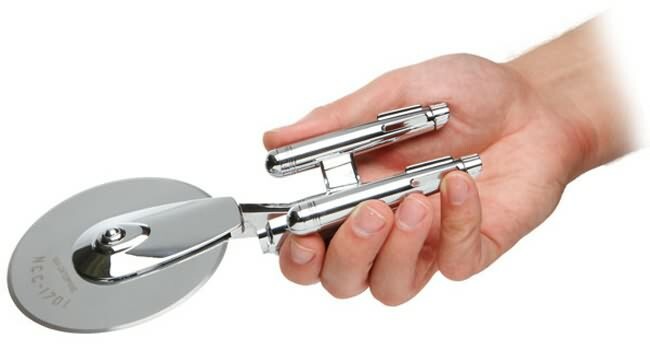 Laser etched stainless steel blade and solid metal construction make it perfect for battling Romulans in the neutral zone or precision pizza slicing. 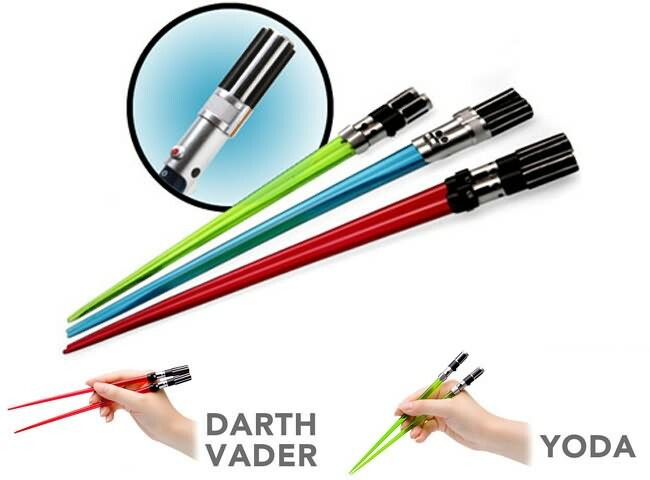 Go forth, brave Jedi warriors, and use your chop sabers to mix just a little extra wasabi into your soy sauce. You can handle it. It is a known fact that eating sushi with chop sabers vastly strengthens your ability to ingest horseradish products. Either way, wield your weapons and ready the way for a truly epic eating experience. 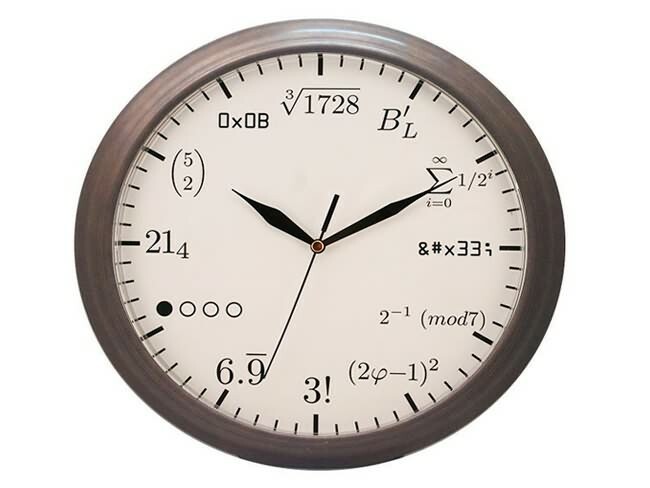 We have seen a lot of geeky clocks here at Geeky Gadgets, but I would have to say this is probably one of the geekiest, the Geek Clock. On the Geek Clock all the numbers have been replaced by the equivalent notation, have a look at the photo below and see if you can work them out, cheat sheet after the break. Altogether only 2 disks from the winchesters, connected by the pair of rivets - and here to you the purse of present computer boom. Certainly, you will not assume into the rear pocket of its trousers, but it is here into the bag - completely. Each time, obtaining this purse in the store or on the market, you will demonstrate to people its belonging with the IT- fans, and at the same time shock them.